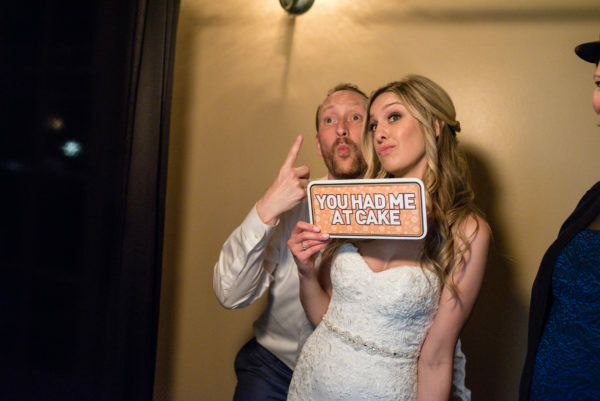 Melanie and Ian had a spectacular destination wedding party with an AMS DJ and photobooth at Trentadue Winery. 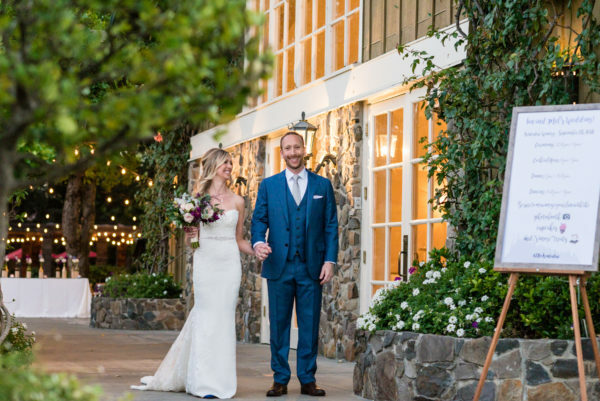 Trentadue Winery, situated in Geyserville CA, not only has stunning views of vineyards and mountains but also includes an expansive lawn, grape arbor, garden with towering redwood trees, huge pavilion, and courtyard – endless options! Milestone Events Group coordinated Melanie and Ian’s special day. Viera Photographics snapped all of the awesome wedding pictures for the day. A husband and wife team whose work is spectacular, Viera Photographics are professional, fun and capture all of those priceless images that last a lifetime. Following their beautiful outdoor ceremony, the bride and groom and their guests enjoyed a scrumptious dinner under the arbor. Dinner was designed and created by Park Ave Catering – delicious food with efficient, seamless service. Moving on into the pavilion for dancing, Ian and Melanie had their special dances with their parents first before their own first dance together. 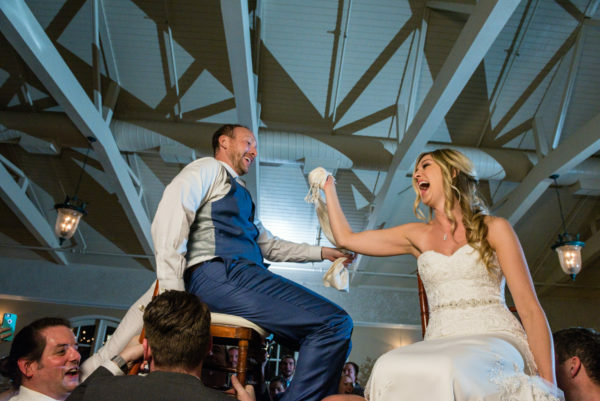 With a mash-up of Ben Harper’s “By My Side” before switching to Olly Murs’ “Dance With Me Tonight”, the new Mr. and Mrs. surprised their guests with their choreographed dance number. Thereafter, the dance party began! 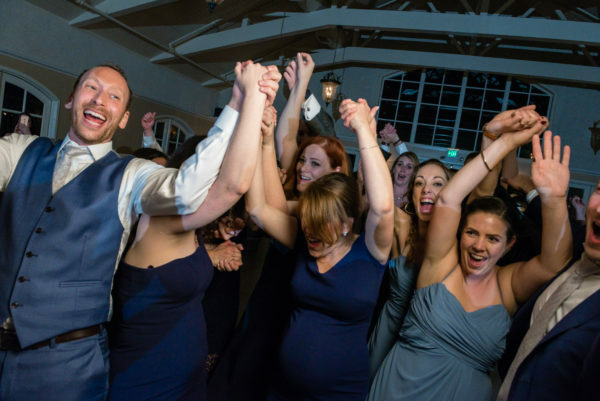 Being wedding entertainment specialists, AMS DJs know the importance of playing song requests while keeping the dance floor packed. And DJ Joe did just that. 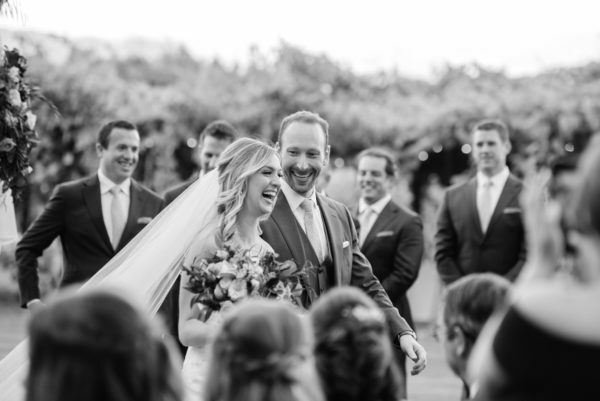 Using AMS’ online music planner for pre wedding song ideas, Melanie and Ian chose their favorite songs they wanted played. With a variety of Motown, 80’s, 90’s and today, there was a mix of everything: “Take On Me” by A-Ha; “Despacito” by Fonsi, Luis & Daddy Yankee Feat. Justin Biebe, “Africa” by Toto and “City Lights” by Lucky Boys Confusion. Cheers to Melanie and Ian! Thank you for letting us be part of your awesome wedding party at Trentadue Winery! Want a packed dance floor for your wedding? Then contact AMS Entertainment by email or phone at (707) 823-7359. We decided to hire AMS because their pride and focus was on “keeping the dance floor full.” It was hard to understand exactly what would make one DJ better than another in that regard, but once dancing kicked off, it was crystal clear. Skip expertly built off of our requests and read the crowd to make sure everyone was having the absolute best time and the dance floor was never empty.